On Thursday, March 2, our sale of 19th & 20th Century Prints & Drawings exceeded $3M and broke ten auction records. 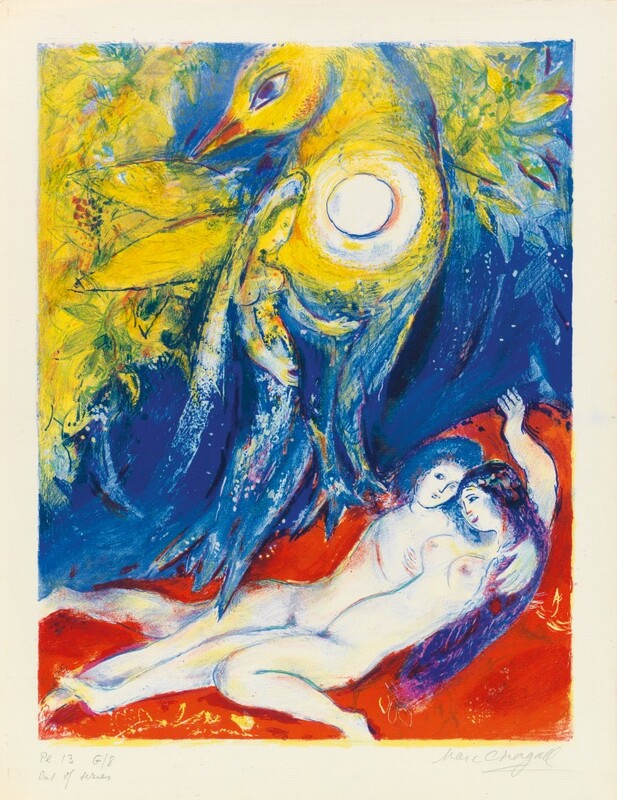 Lot 551: Marc Chagall, Four Tales from the Arabian Nights, complete deluxe edition of 13 color lithographs, New York, 1948. Sold March 2, 2017 for $269,000. Topping the sale was the rare deluxe edition of Marc Chagall’s portfolio Four Tales from the Arabian Nights, of which only 11 were printed. Previously, the set belonged to Kurt Wolff, publisher of Pantheon Books. The vibrant color lithographs include a 13th plate denoting the deluxe edition; still in its original case, it was purchased a collector for $269,000. 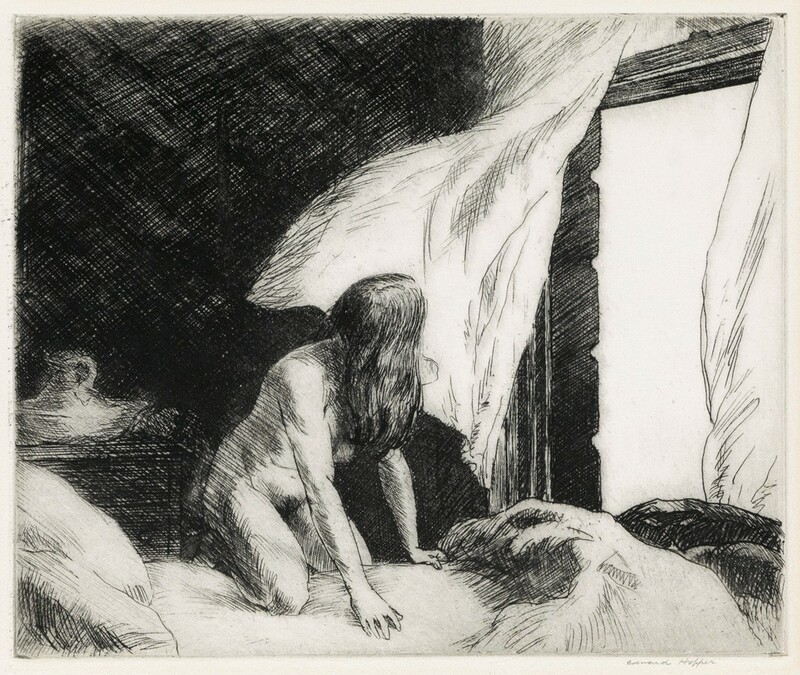 Lot 230: Edward Hopper, Evening Wind, etching, 1921. Sold March 2, 2017 for $149,000. Early twentieth-century American prints saw Edward Hopper’s rare Evening Wind sell for $149,000, nearly doubling its high estimate of $80,000. Hopper considered it crucial to the piece to have the highest possible contrast between light and dark, so he took pains to procure his favorite extremely white Umbria paper from Italy, and an deep black from London. The master was also represented in the sale by the 1921 etching Night Shadows, which went for $33,800. 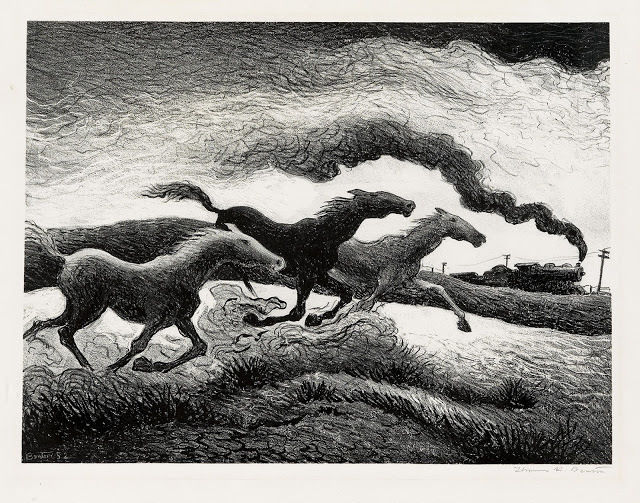 A premier selection of prints by Hopper’s mentor Martin Lewis was led by the extremely rare aquatint Which Way?, 1932, which was purchased for $42,500, a record for the work. Further highlights by Lewis included the 1929 drypoint Bay Windows and 1916’s etching The Orator, Madison Square, each of which went for $27,500. 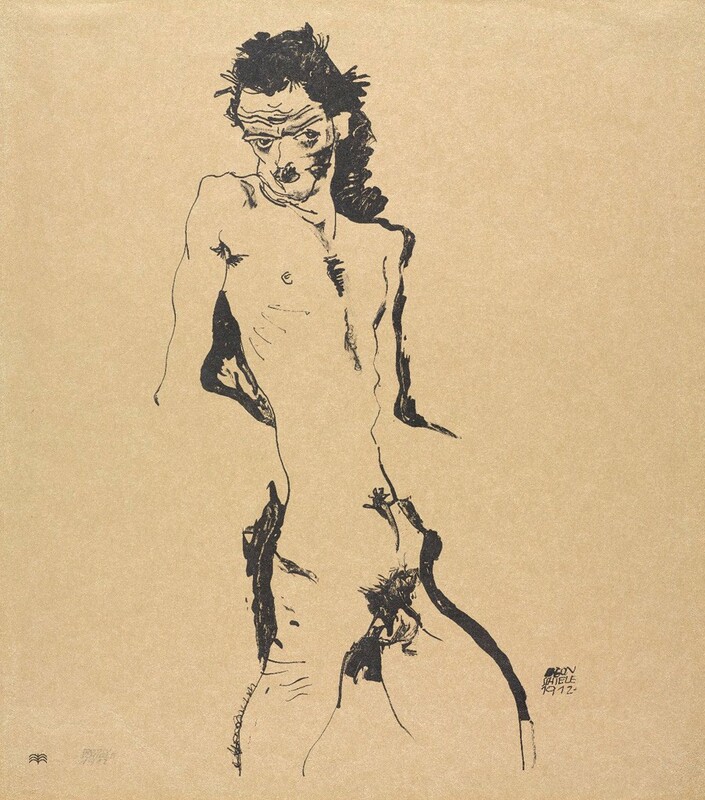 Lot 435: Egon Schiele, Männlicher Akt (Selbstbildnis I), lithograph, 1912. Sold March 2, 2017 for $30,000. Another highlight of the sale was Männlicher Akt (Selbstbildnis I), Egon Schiele’s first attempt at a printed self-portrait; the work brought $30,000. A 1914 drypoint by the artist, Kümmernis, was purchased for $15,000. 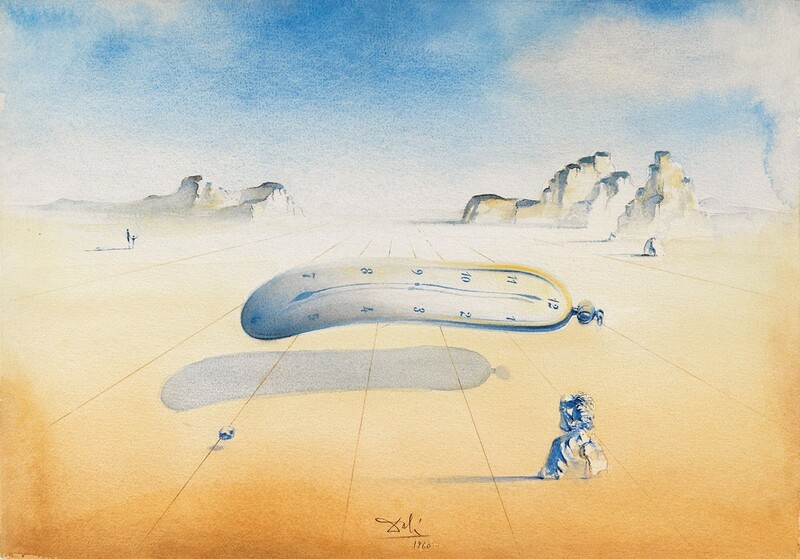 Lot 517: Salvador Dalí, Orologi Molli, watercolor, 1960. Sold March 2, 2017 for $112,500. Orologi Molli, a watercolor by Salvador Dalí, surpassed its high estimate to sell for $112,500. Another original, a pen and ink drawing by Paul Klee of prancing bulls, titled Drama in der Kuhwelt, 1915, reached $25,000. 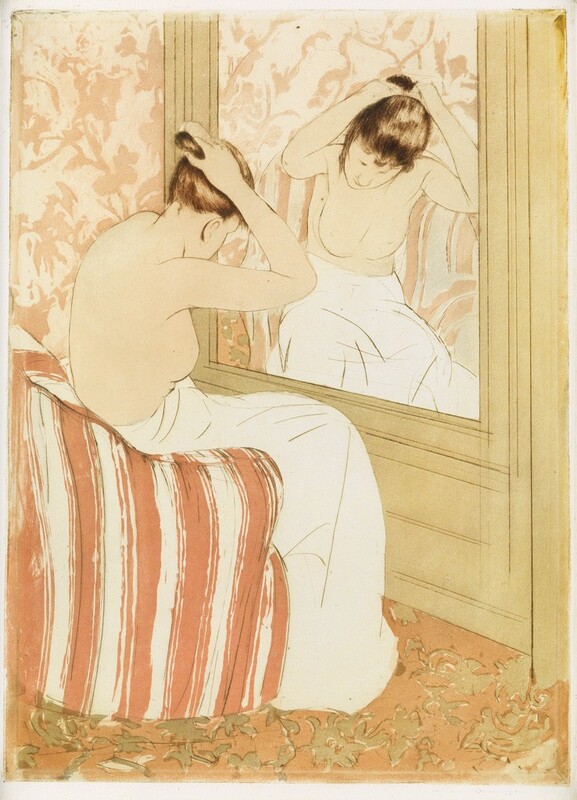 Lot 125: Mary Cassatt, The Coiffure, color drypoint, circa 1891. Sold March 2, 2017 for $81,250. All four offered works by Mary Cassatt found buyers, including the rare circa-1902 drypoint Crocheting Lessons, which sold for $27,500. Another Cassatt, The Coiffure, broke its previous auction record to sell for $81,250. 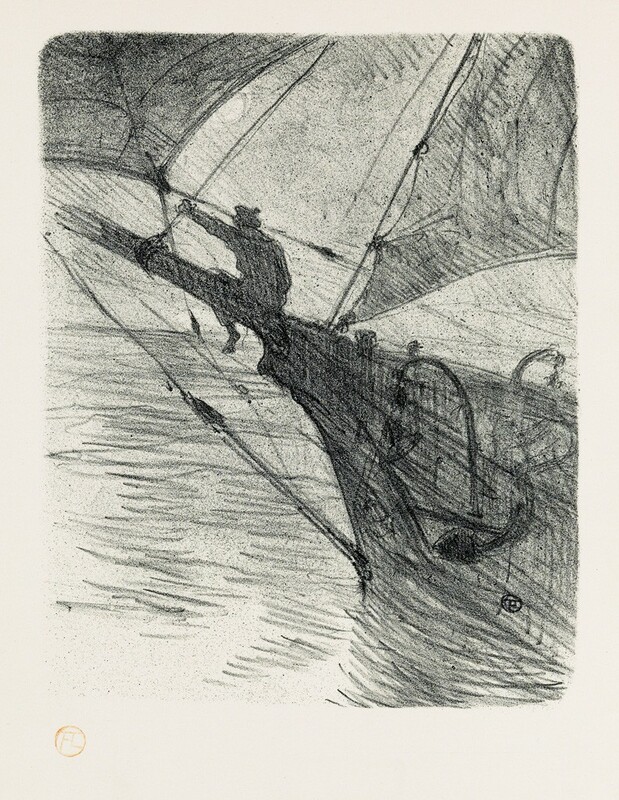 Lot 96: James A.M. Whistler, Upright Venice, etching and drypoint, circa 1879-80. Sold March 2, 2017 for $70,000. 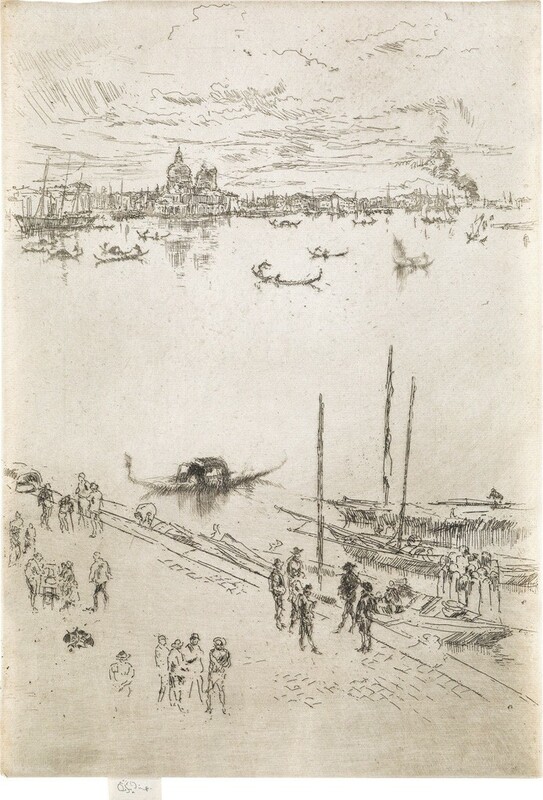 Etchings made by James A.M. Whistler during a 1879-80 trip to Venice performed well, including the luminous Upright Venice, at $70,000. Two further prints from the same period each broke their previous auction records: The Garden reached $70,000, while San Biagio sold for $62,500. Lot 8: Henri Toulouse-Lautrec, Mélodies de Désiré Dihau, complete set of 14 lithographs, 1895. Sold March 2, 2017 for $30,000. The complete set of 14 lithographs in Henri Toulouse-Lautrec’s Mélodies de Désiré Dihau, was sold for $30,000, a record for the work. The set was previously in the collection of Eric Carlson. For complete results, browse the full catalogue. Now accepting quality consignments for Fall 2017.